Cwm Taf University Health Board is responsible for providing healthcare services to the population of Merthyr Tydfil and Rhondda Cynon Taf, estimated to be around 289,400 people. They provide a full range of hospital and community-based services employing approximately 7,000 members of staff making them the second largest employer in the area. 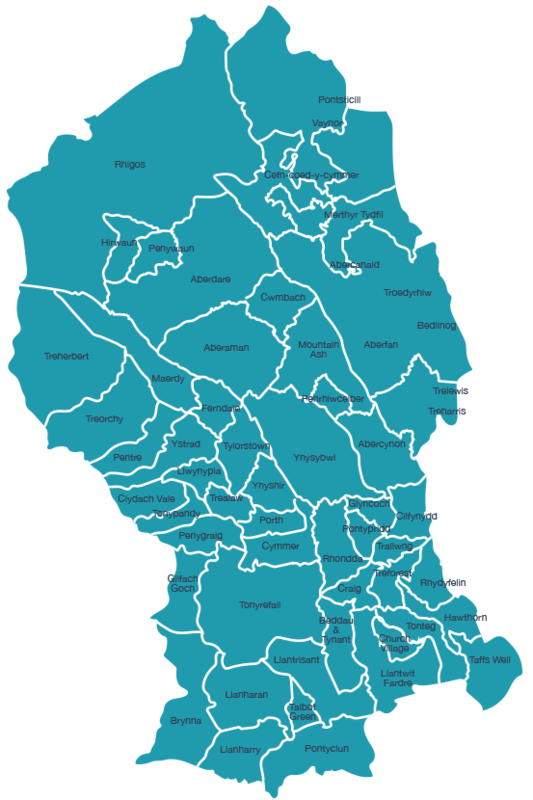 Their services also extend to people living in the neighbouring areas of the Upper Rhymney Valley, South Powys, North Cardiff and the Western Vale. In addition, some specialist services are provided to the wider catchment area of South Wales. Cwm Taf University Health Board is situated in the heart of South Wales just north of Cardiff, between the beautiful Brecon Beacons National Park and the M4 motorway. Many areas across Cwm Taf are amongst the most deprived in Wales. This is significant as geographically based deprivation measures can be used to show inequalities in health and suggest areas most likely to need measures to improve health and manage ill-health. Figures also show that life expectancy across Cwm Taf is lower than that of the Welsh average. Craig.Wilson@wales.nhs.uk | 01443 744879, 07770 981817. Engagement with the clusters has been very productive with the cluster network leads asking the ROC if they could send all their eye care related patient presentations to community optometry.